My summer break feels so short and idk why is that so but cant believe its already a new sem. Im already in sem 5 after this summer season ended. 안돼..
And it is also almost the end of Syawal too? Time does fly a zillion times faster nowadays..
Anyways, it felt like yesterday was the first day of Raya but nope its not.. Almost 3 weeks had passed. Plus! 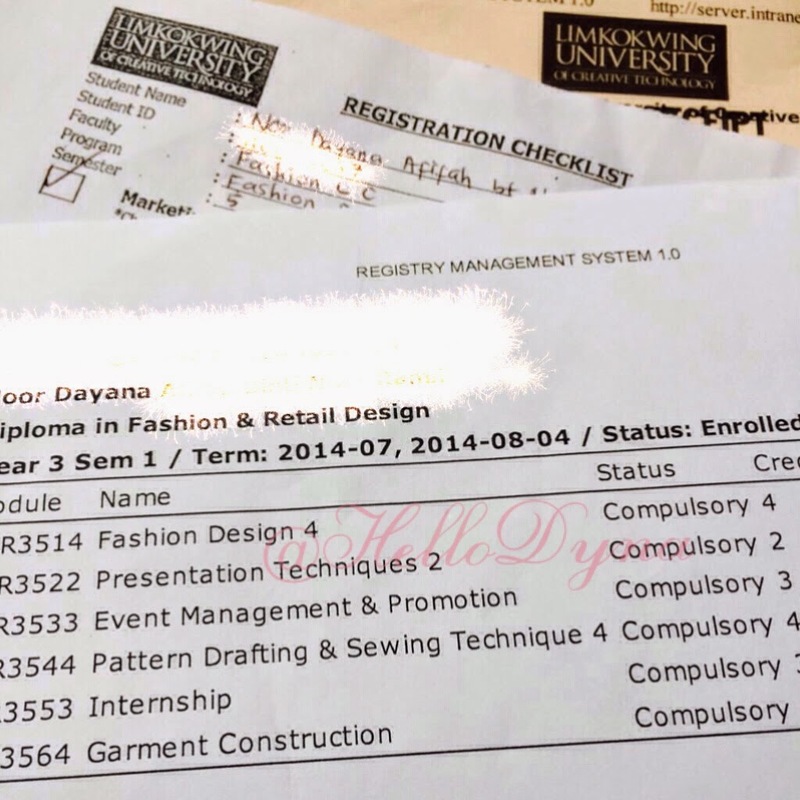 I'll have an internship program right after this sem ends for 3 months (which is during the sem break between sem 5 and 6) then continue with sem 6 (which requires us to make 5 GARMENTS!).. It's a bit loco isnt it? Yeah,these are the subjects im going to learn for this sem. And out of 6 classes 3 of them will be with the same lecturer..a new one that havent teach us before..